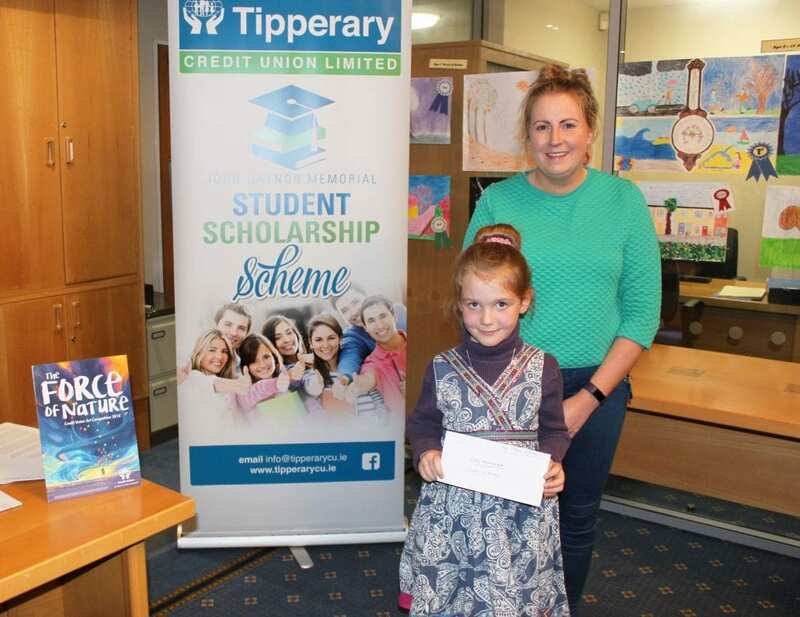 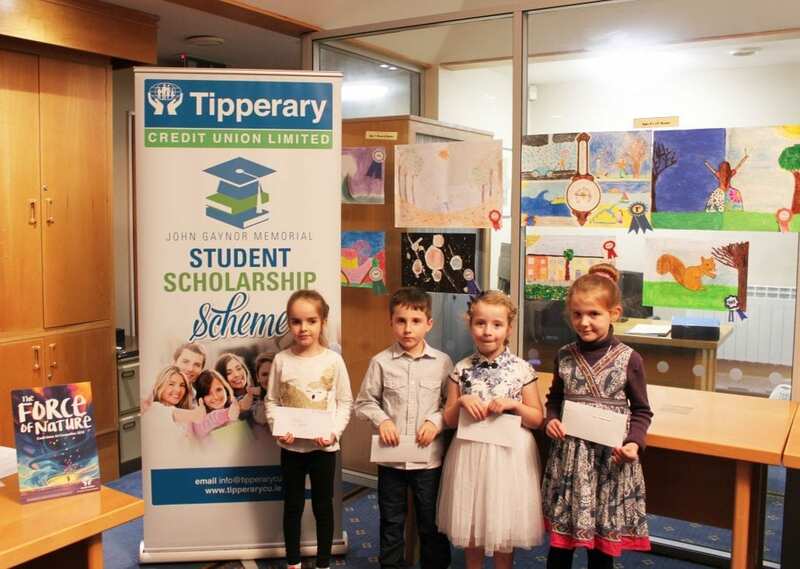 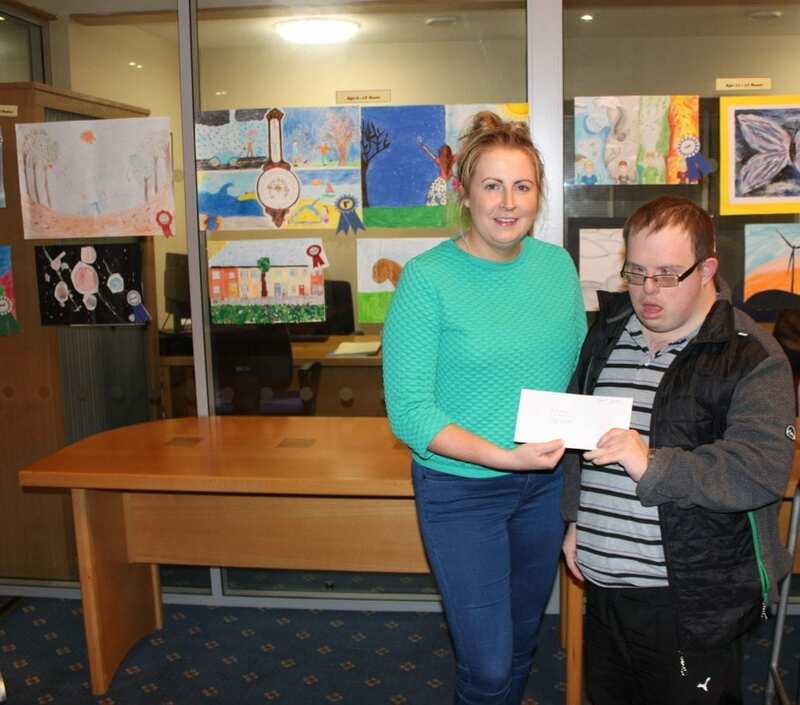 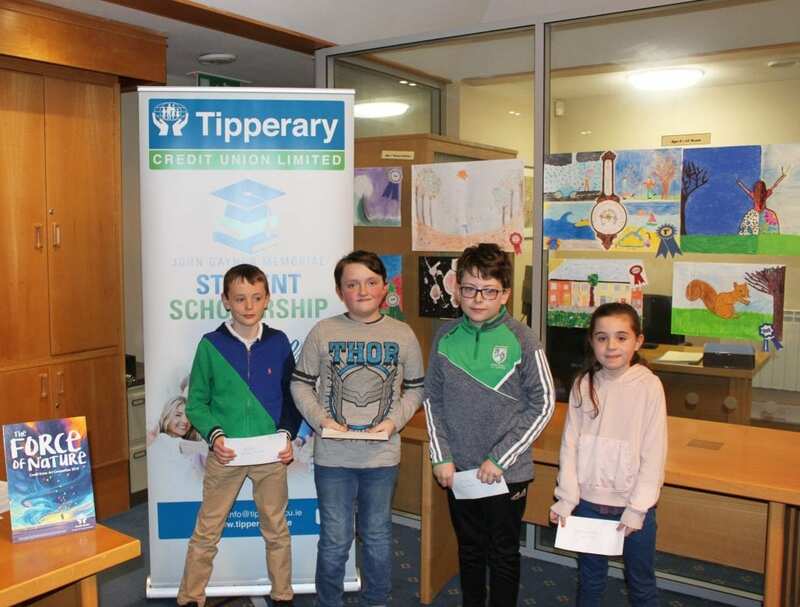 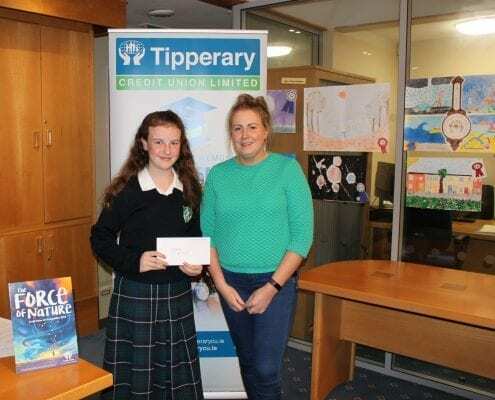 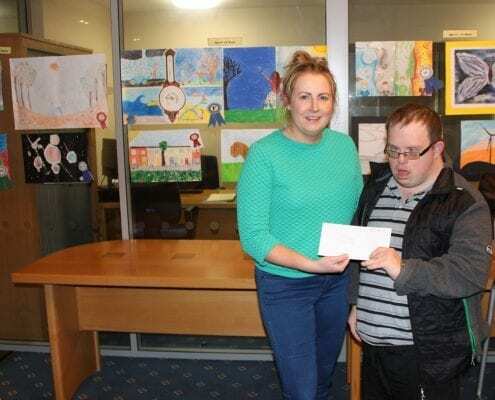 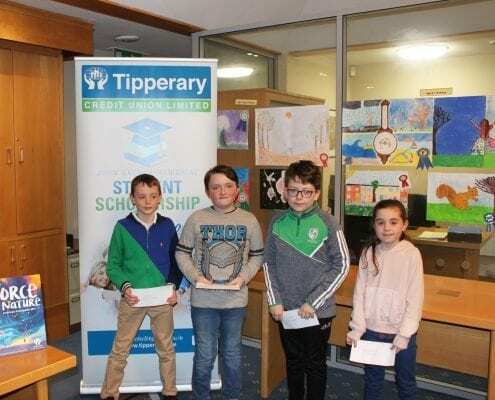 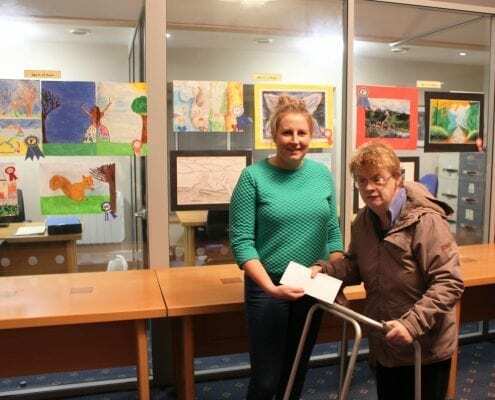 Tipperary Credit Union would like to thank everyone who attended our prize giving ceremony for the Credit Union Art Competition and the John Gaynor Scholarship Scheme on Tuesday the 13th of November. 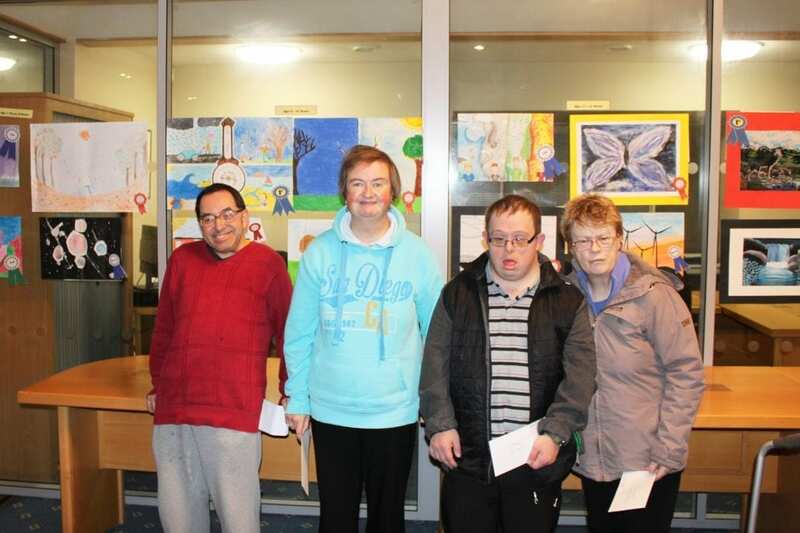 There was a great turn out for what was a fantastic night. 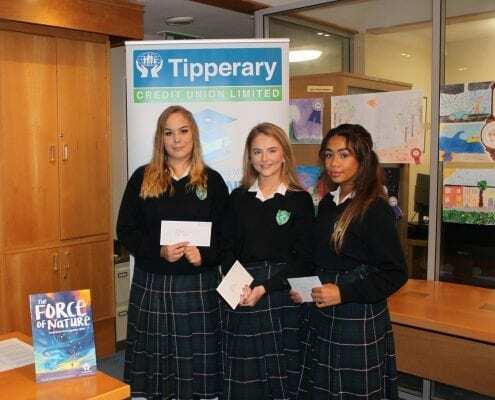 Digital Media Competition students are asked to create 30 – 60 second adverts and must then promote it on social media. 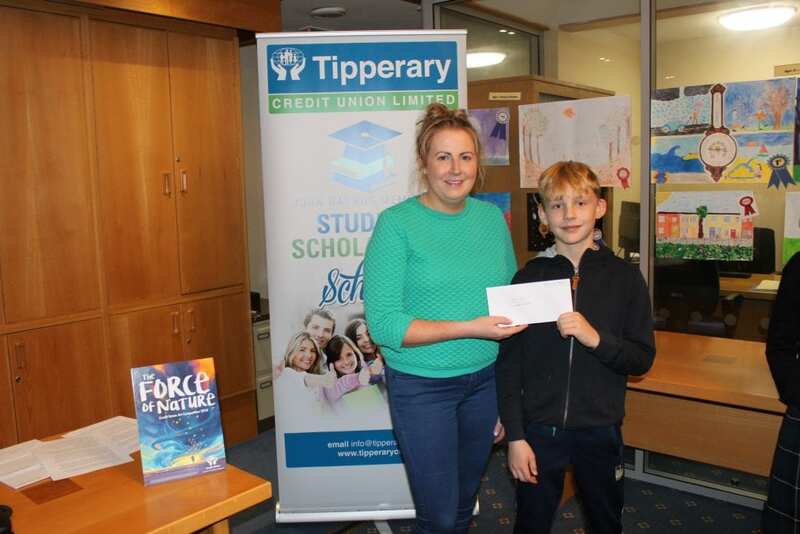 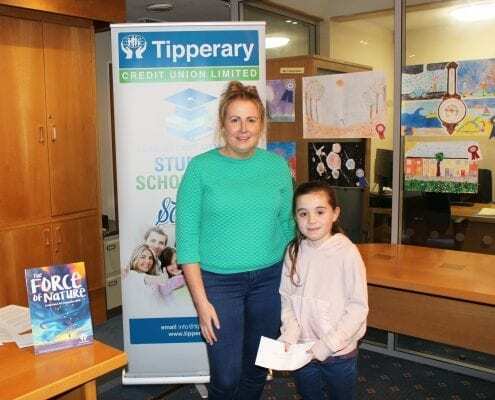 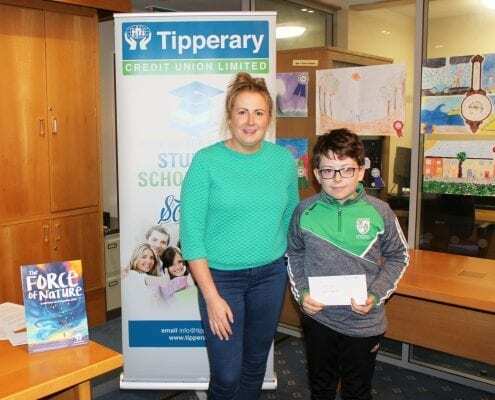 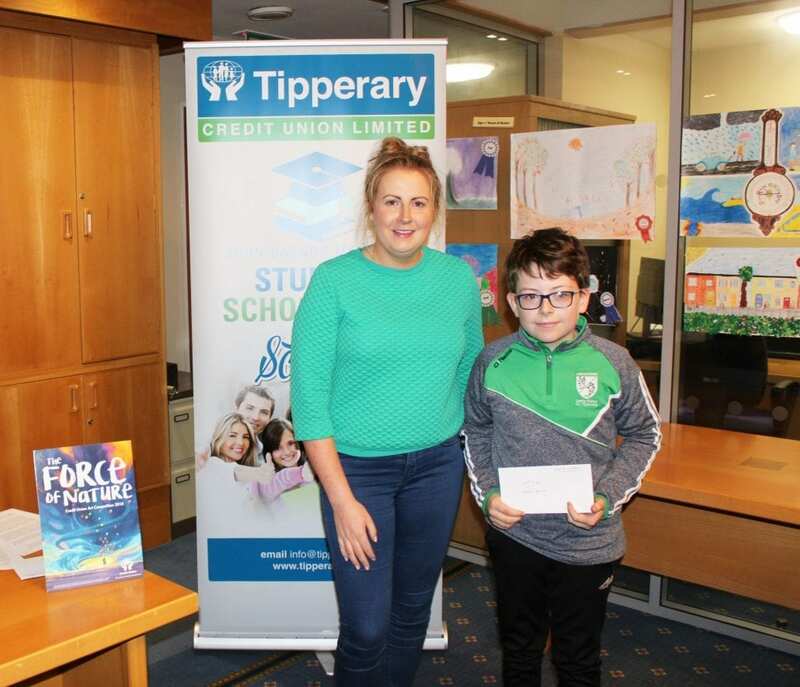 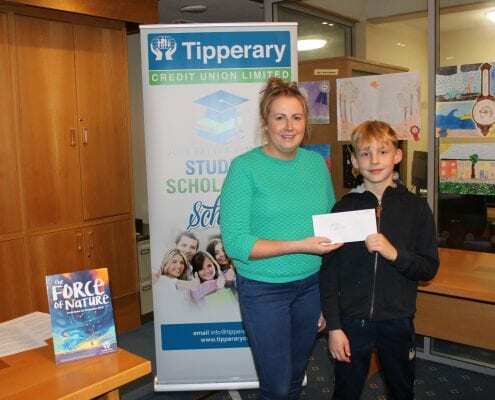 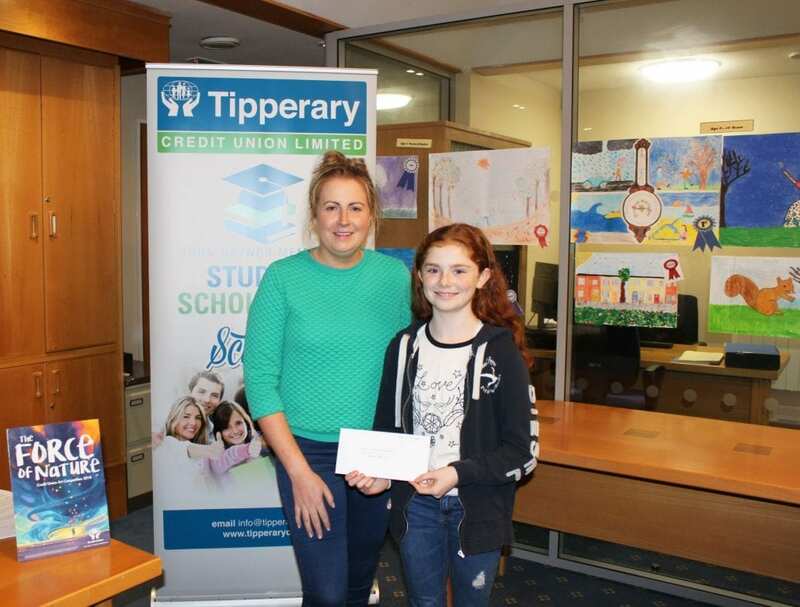 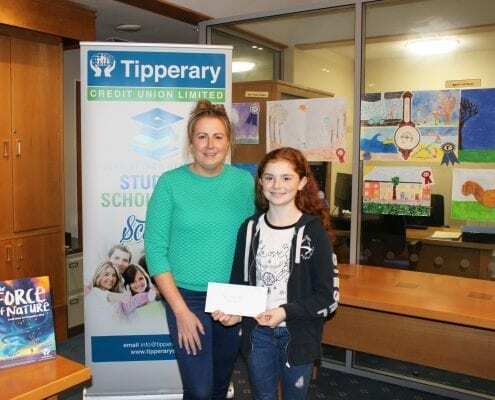 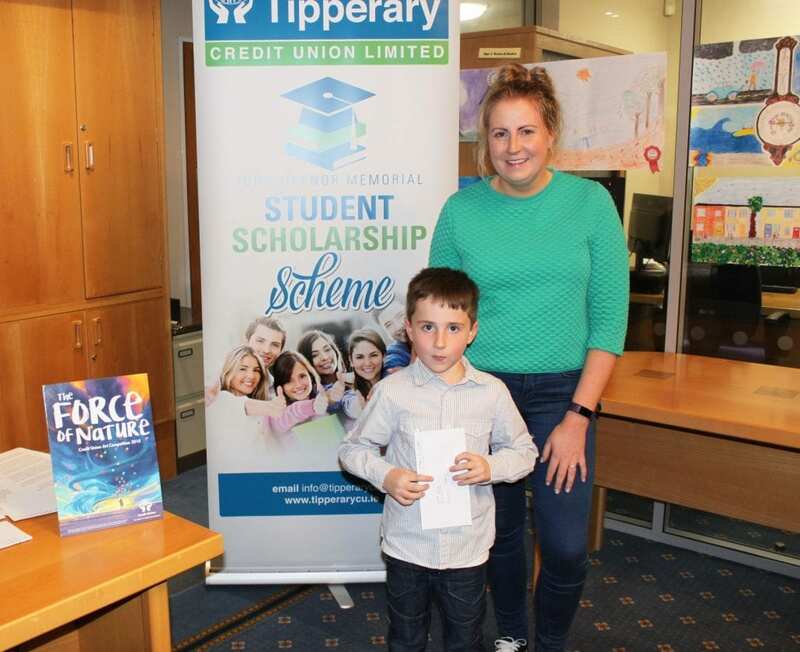 At Tipperary Credit Union we are also mindful of the expense of sending a child to Primary, Secondary and Third Level Education and have education loans specifically for that purpose. 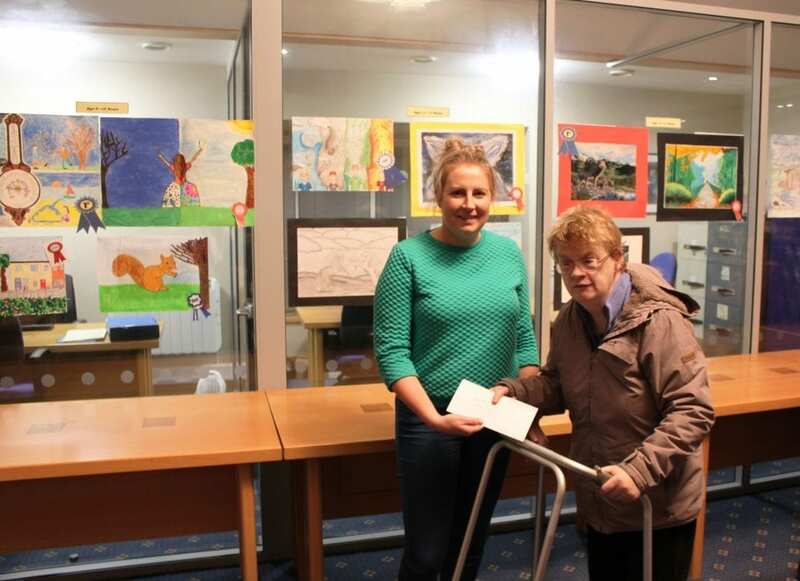 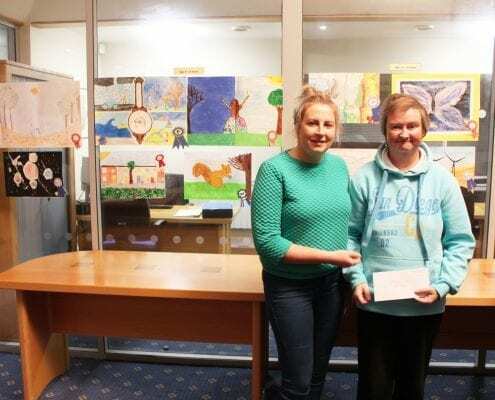 Now in it’s 35th year, the Credit Union Art Competition is a household name. 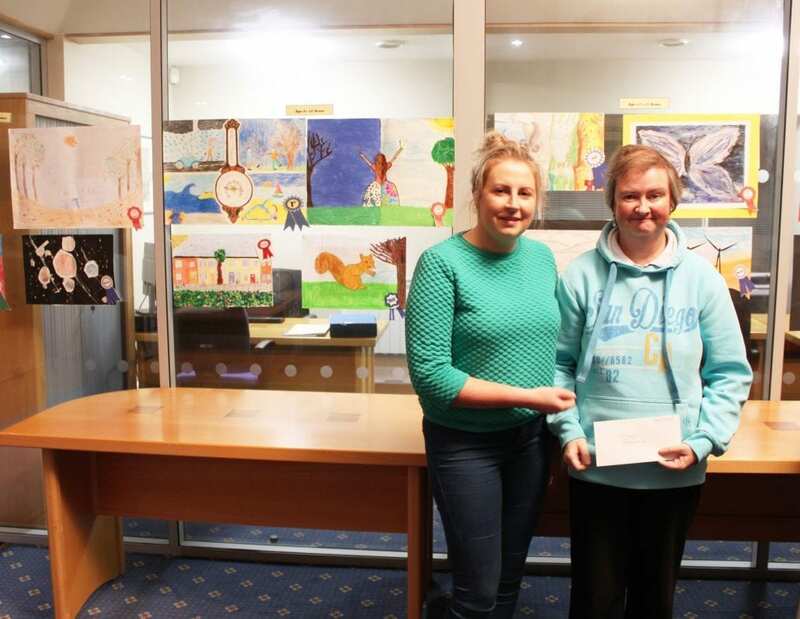 The talent & colour on show each year displays the dedication to Art by all participants. 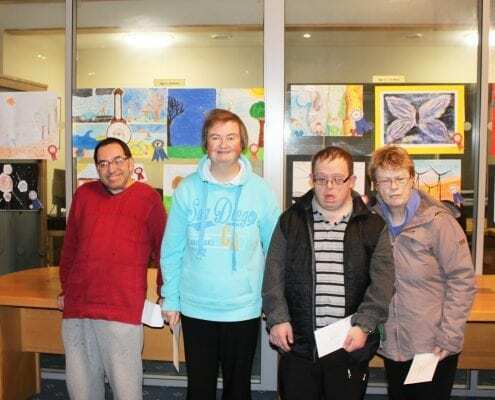 This inclusive competition encourages participants of any age to create a masterpiece and looking around the room tonight we can see that we have some very talented artists on our hands. 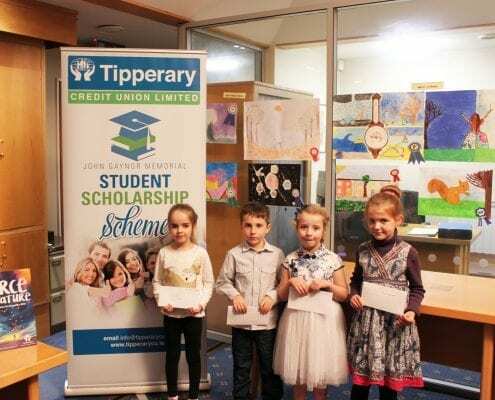 There are three stages to the Art Competition first stage local sage where credit unions select their winners, second stage winners from stage one move forward to Chapter level representing their local credit union and the third stage is National level. 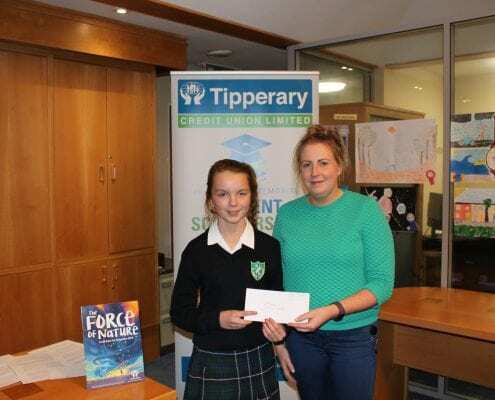 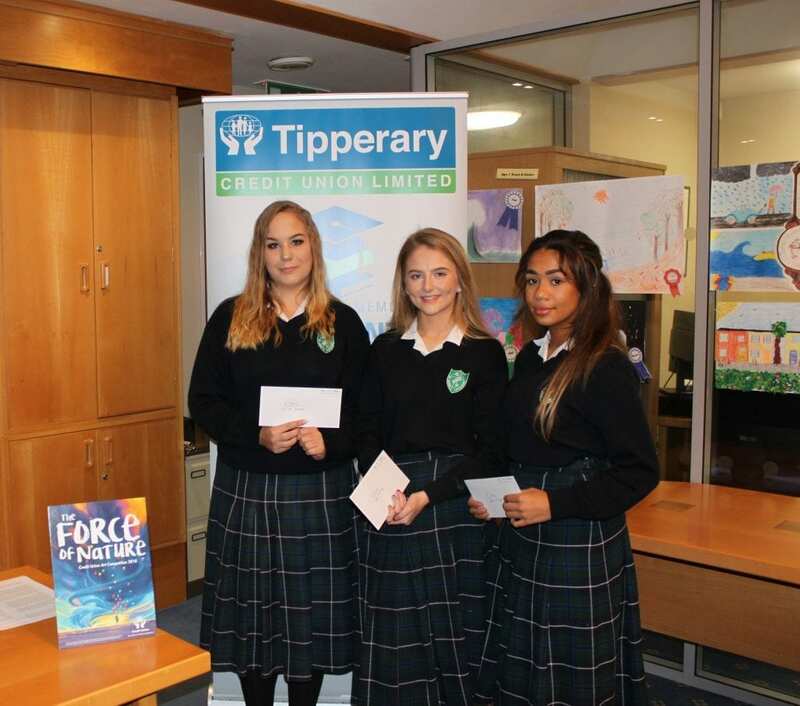 The theme for this year’s Art Competition was Force of Nature and we would like to thank everybody who submitted a poster this year there was a very high volume of entries from Tipperary and Limerick and the standard was extremely high. 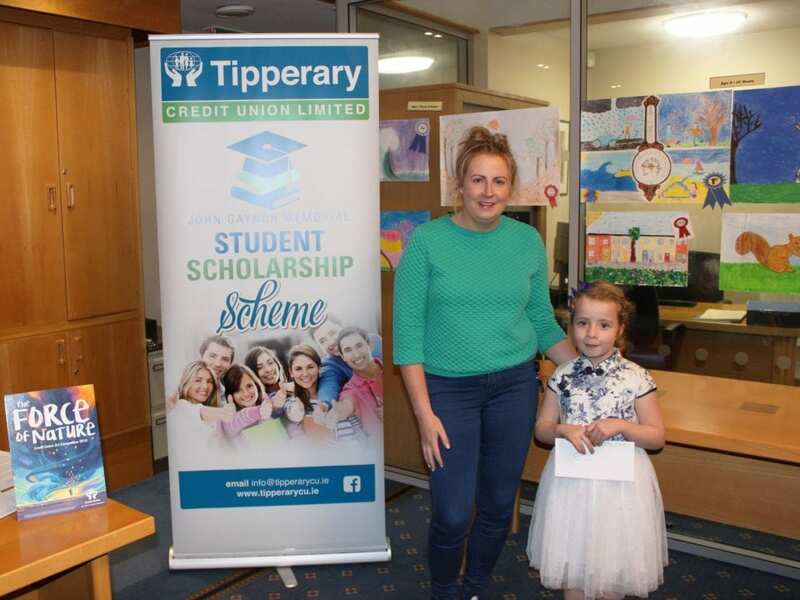 We would like to thank the parents and teachers for encouraging the students in participating. In 2001 Tipperary Credit Union introduced its first Student Scholarship Scheme as scholarship scheme for members entering the first year of a recognised Third Level or Post Leaving Cert course. 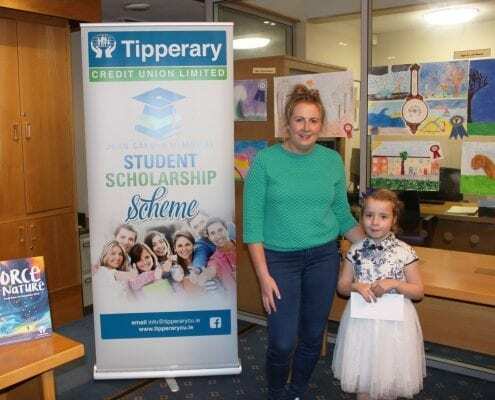 The scholarship is an open draw, and is not based on academic achievement. 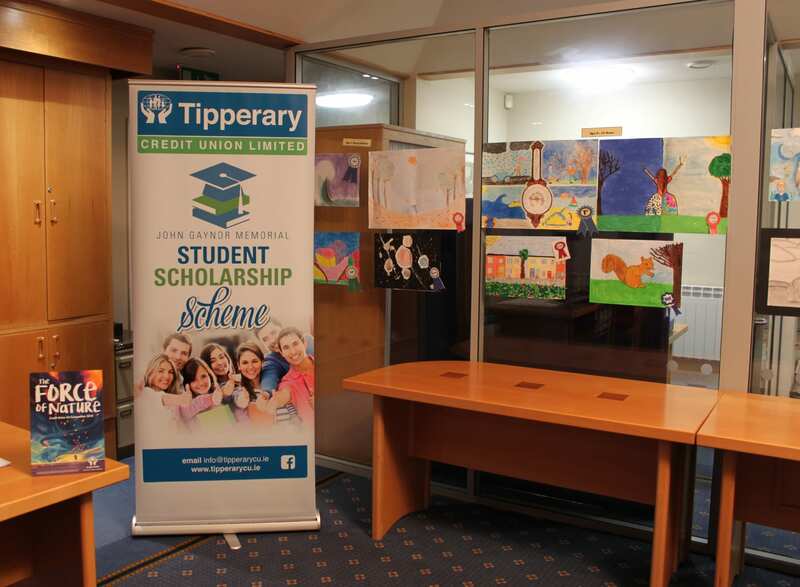 Since its introduction in 2001 17 young people have won the scholarship which is worth up to €6,000 each. 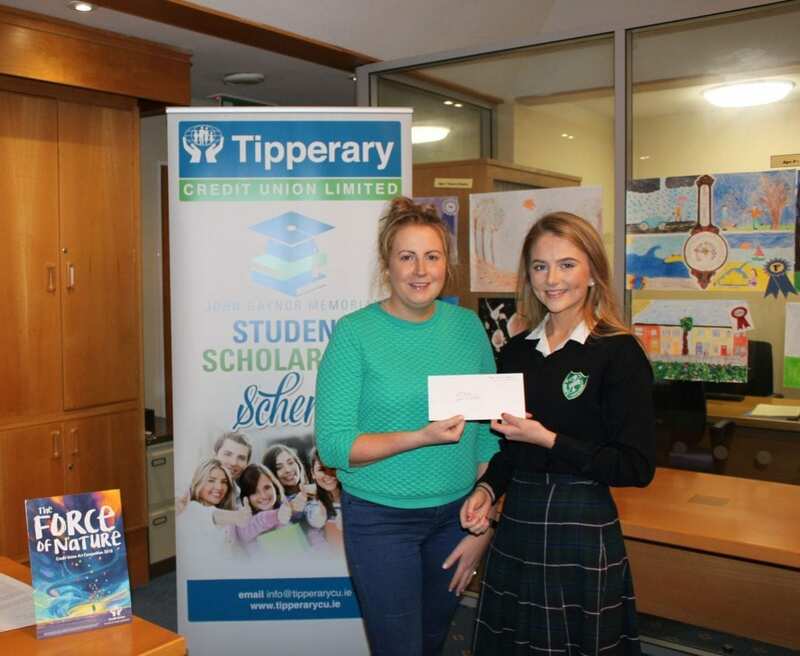 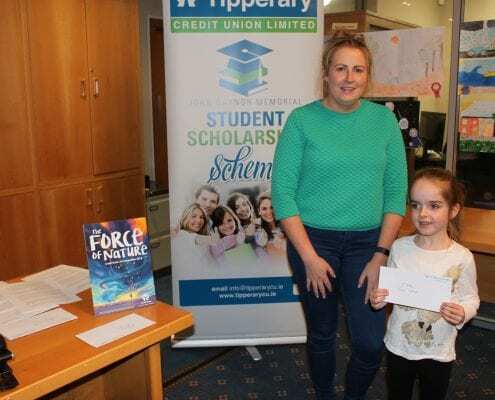 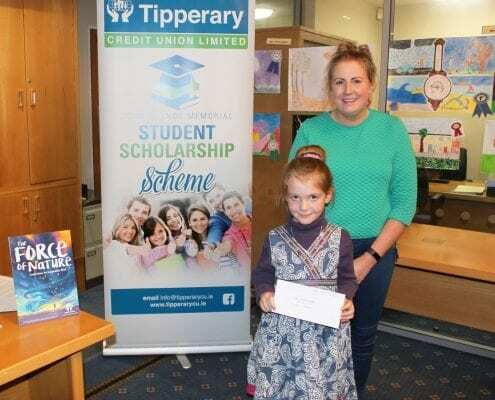 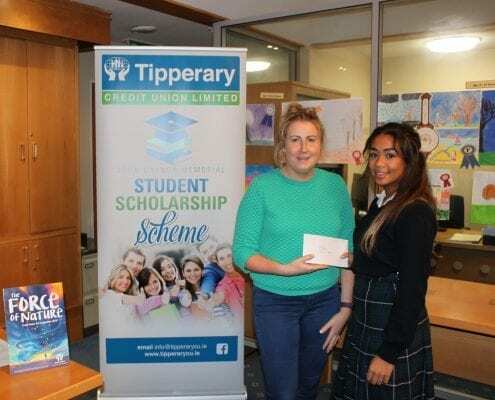 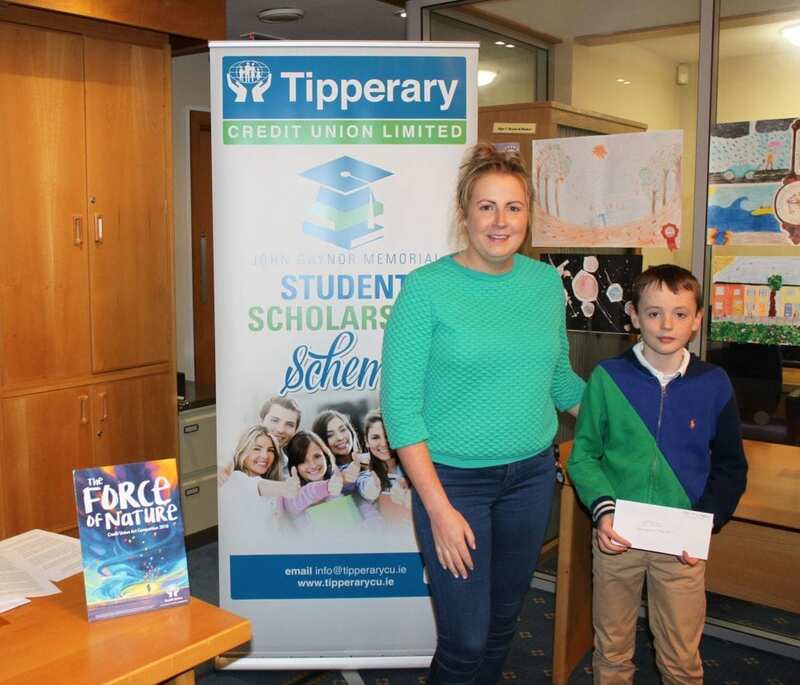 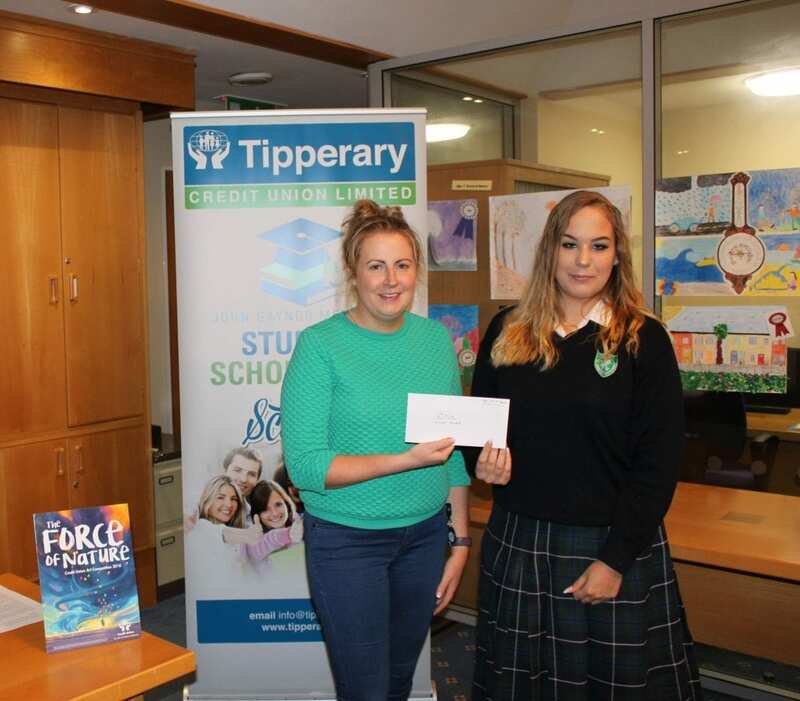 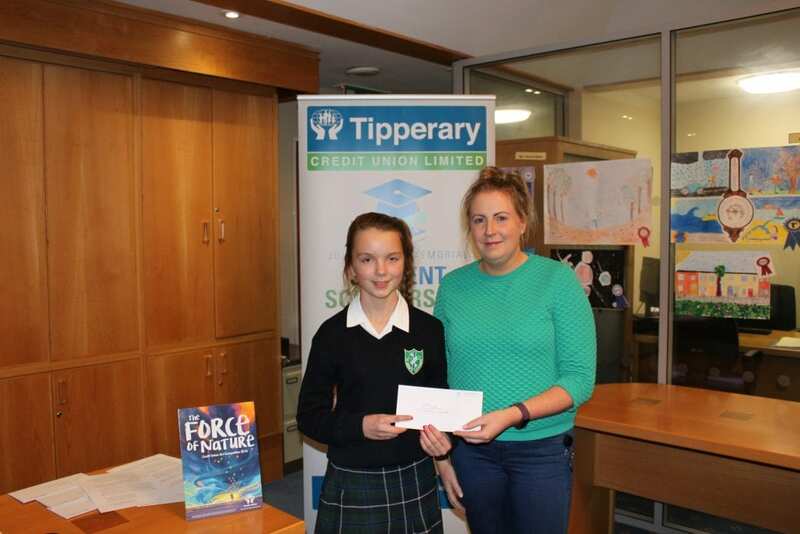 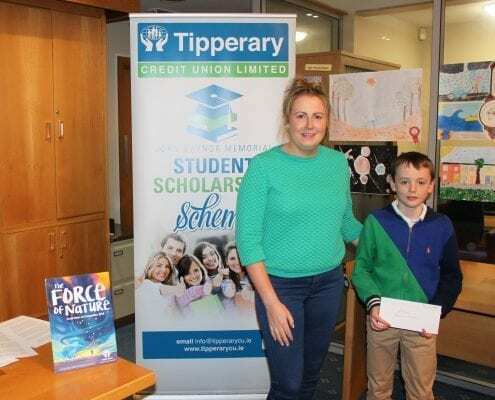 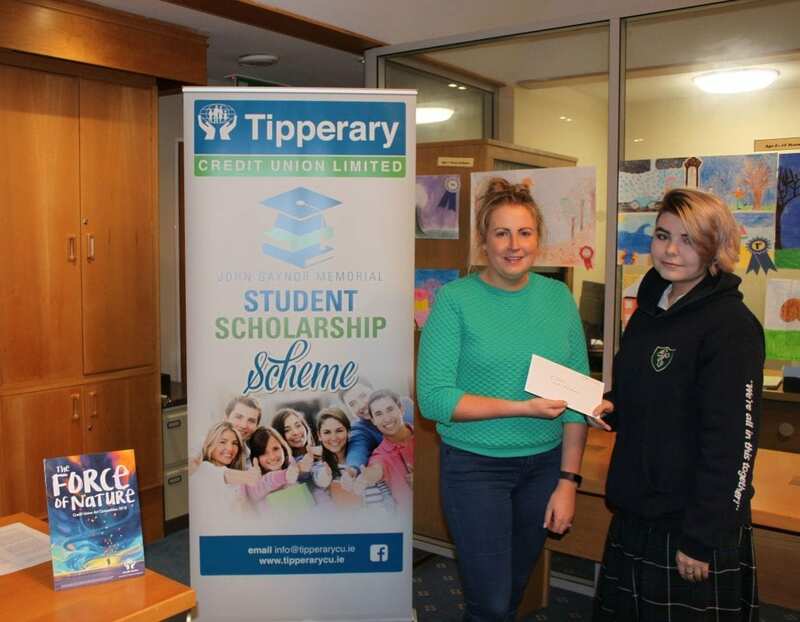 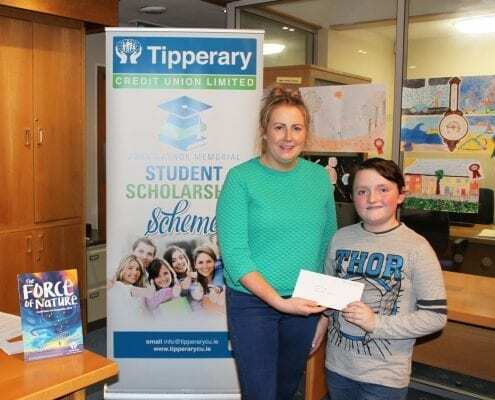 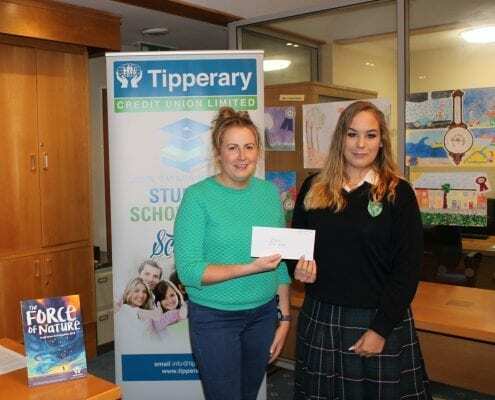 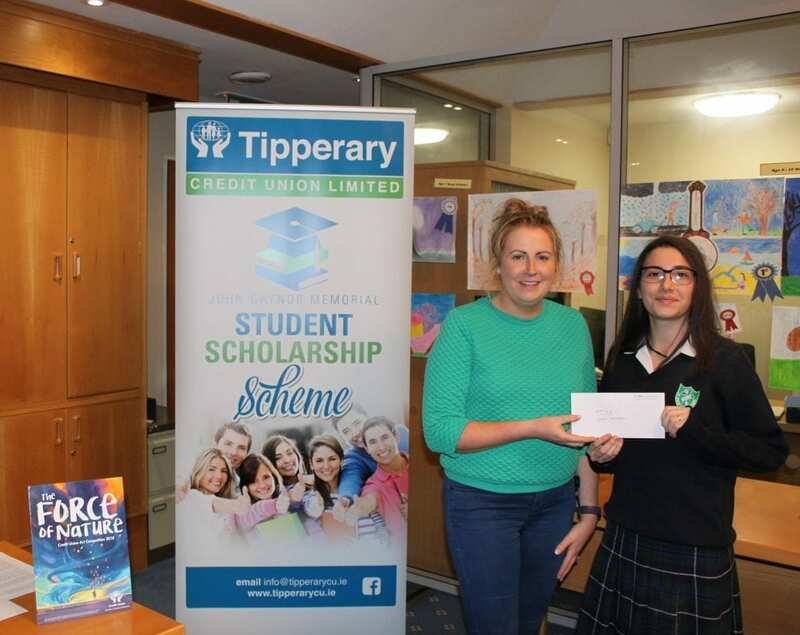 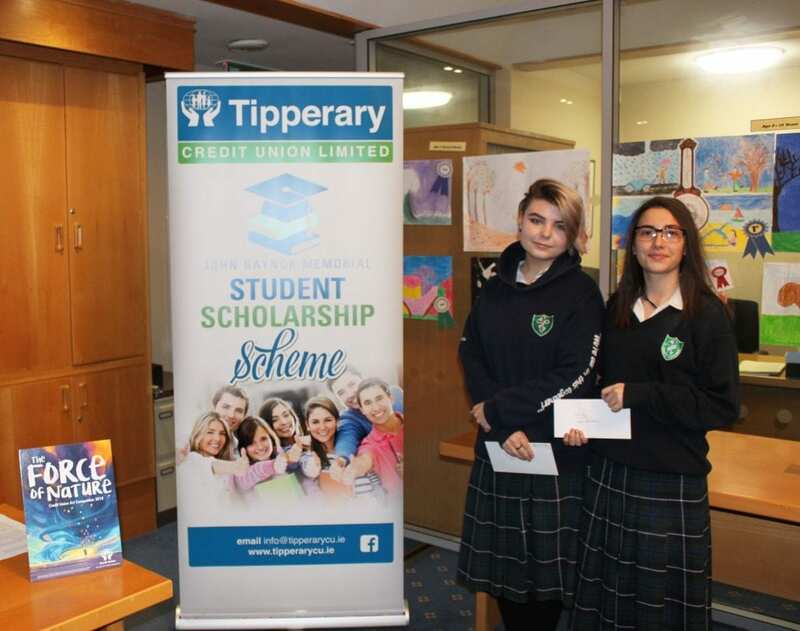 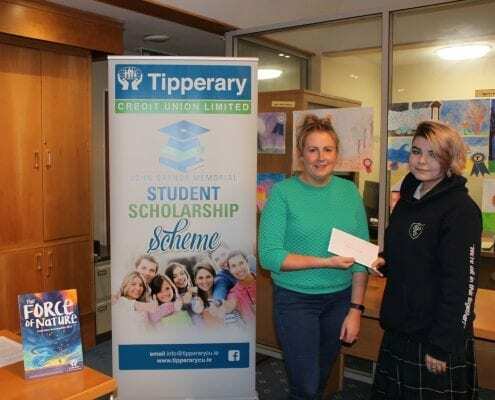 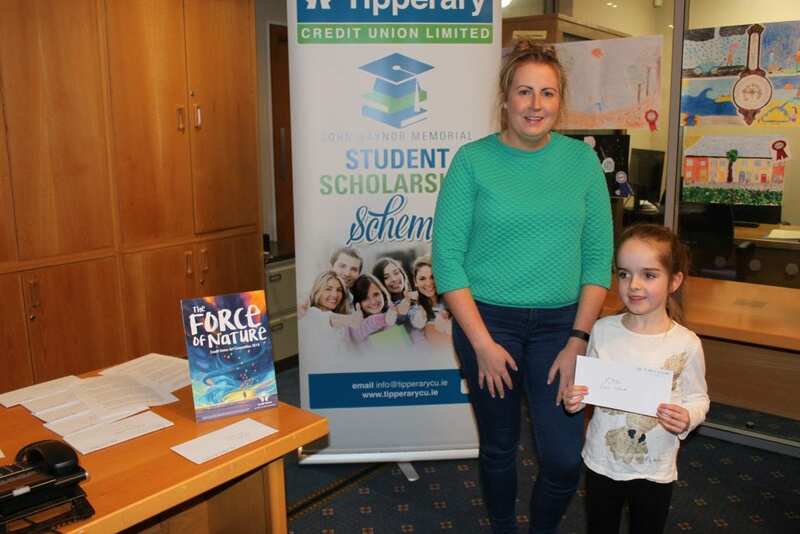 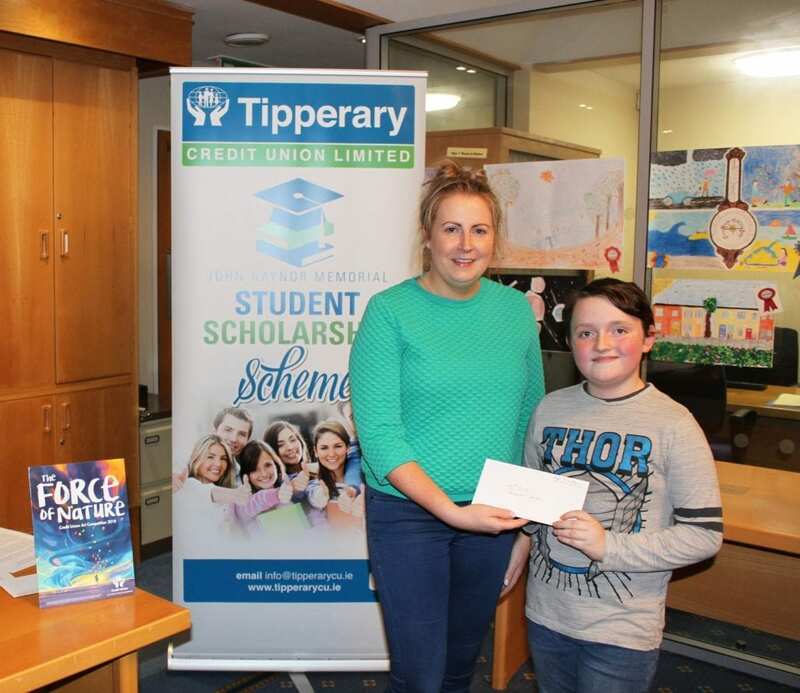 The winning students have benefited massively from receiving the scholarship and Tipperary Credit Union are delighted to have been in a position help them achieve their academic goals. 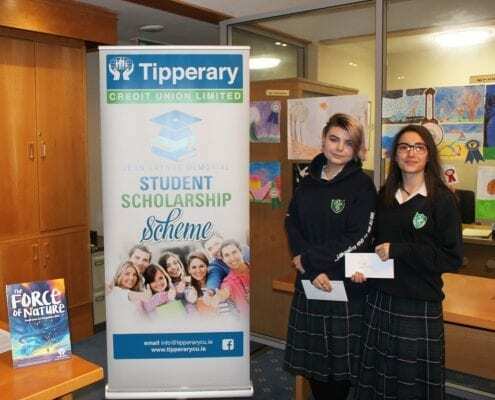 We would like to thank all the students who took the time to complete the schoarship application form and wish them all the best in their Third Level studies.